We’re excited to announce the Power BI Mobile apps November update. This month’s update includes new capabilities as well as stabilization and quality improvements. The new dashboard actions menu puts all dashboard actions into one accessible place. Use this new menu to easily invite colleagues to share dashboards, edit favorite tiles on this dashboard, and even add a picture tile. Imagine being able to take the white board from a board review and pin it into your dashboard, or adding a picture of your factory machine gauges when visiting the production floor. Now you can. 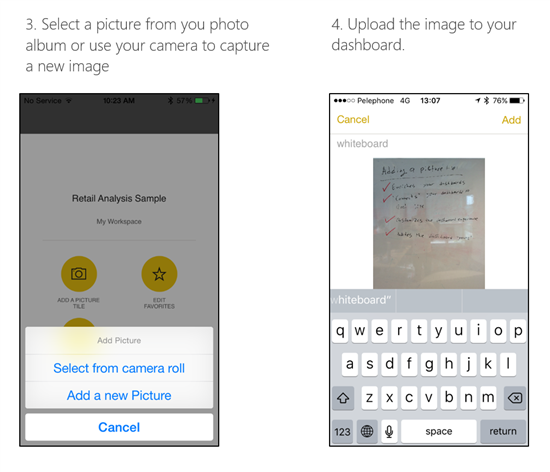 We are happy to introduce cool new functionality on the iPhone – add a picture tile. With this cool capability you can leverage your mobility and enrich your dashboards with pictures from your phone’s gallery or camera. The picture you select is added to your dashboard as a new tile. The new tile will be available to anyone viewing this dashboard on any platform. 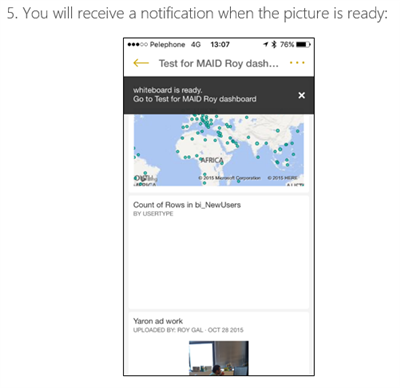 To add a picture tile, open one of your dashboards on Power BI iPhone app (make sure you have Edit permissions for this dashboard). 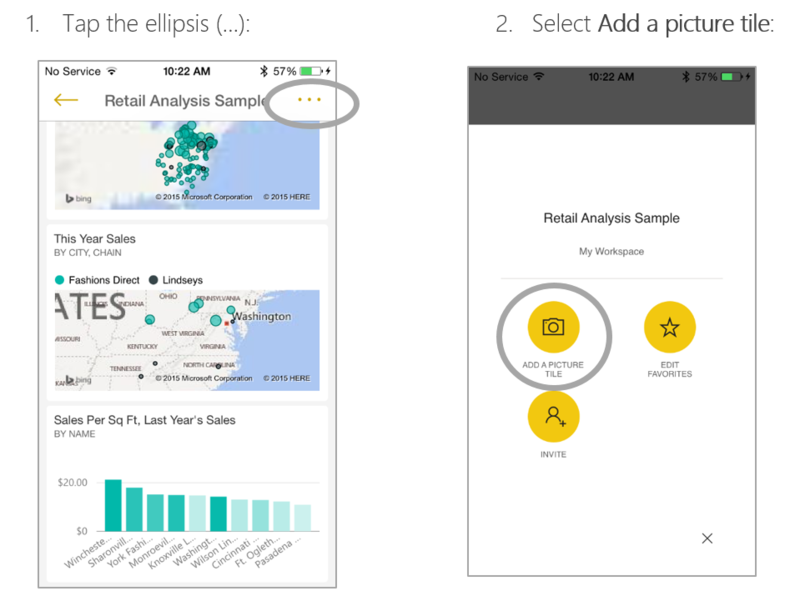 Enjoy the landscape with the Power BI iPhone app – See more details in this blog . 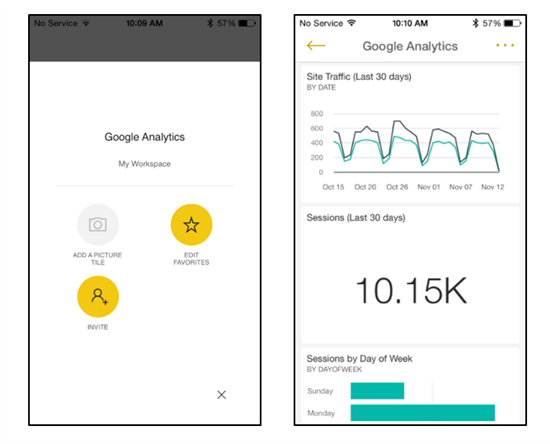 New to the Power BI mobile app? Get to know Power BI using our new and improved welcome experience. 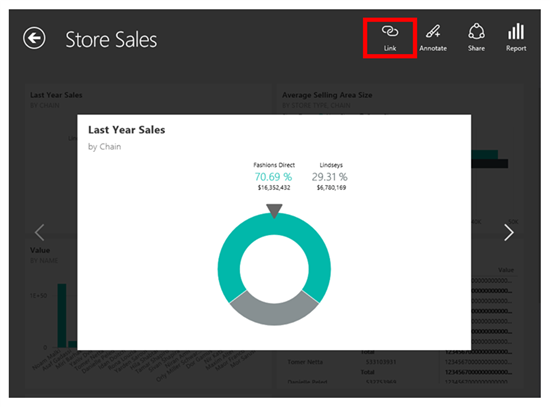 The new experience outlines Power BI key functionality followed by full in-app access to samples. It’s well known that the best way to learn something is to experience it for yourself. Explore the app capabilities and understand its value to you even before signing in. 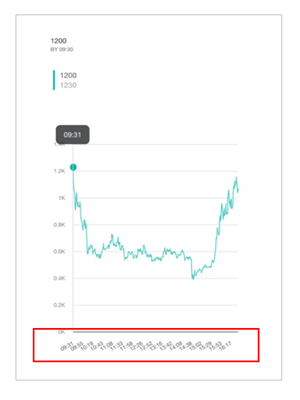 We have improved the capacity of charts on mobile. Before, charts that had many data points on the X axis were truncated, but not anymore. Navigate directly from mobile tiles to a specific URL or to another dashboard from your Windows app. You add links to the tiles while in the Power BI service. Then you can follow them in the Windows app. We improved the internal app browsing capabilities to allow display of full URLs and provide a better experience of the internal app browser activation under settings.